ArtistCloner Audio is a relatively new entrant into the competitive audio design world. 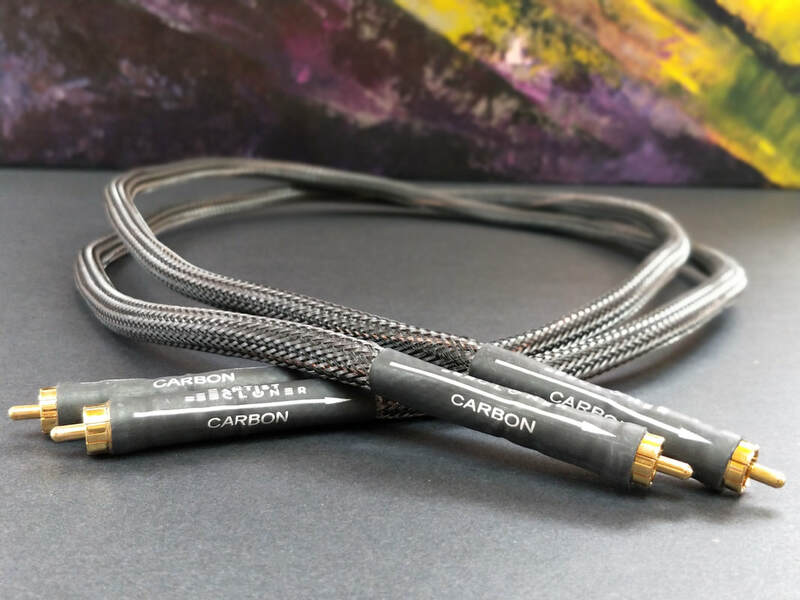 March 2018 will see the company launch several new products at the Montreal Audio Fest, including two well-built and ingenious cable designs: an interconnect named Carbon, and a new Litz and solid-core double conductor loudspeaker cable, called Solitz. I encountered ArtistCloner’s full suite of equipment at the 2017 Montreal Audio Show. Everything from the electrical outlet to the Rebel Bookshelf speaker was the creation of its designer in chief, Sylvio Comtois. The attendees were, like the previous year, attentive and reluctant to leave. I returned to the room several times, enjoying the excellent sound quality. In fact, a well-known reviewer, Art Dudley, remarked in his show coverage that the sound “was so good on a recording of the first Bach unaccompanied cello suite—with richly coloured, richly textured bass notes that were to die for—that I returned to their room later the same day and asked to hear it again. Sylvio Comtois may be on to something here”. So, I decided to contact ArtistCloner about his power cables. We were living in Montreal at the time, and a pair of custom-built power cables could solve my problem of reaching the electrical outlets. But a more serious audition would have to wait until our return to the Toronto area, in November 2017, where I now have the time and the need to consider cabling once again. My new listening room, as it turns out, is the main living room in our home. More importantly, it is the best sounding audio room I’ve ever encountered, due to very solid walls and floor, old school copper wiring, and dimensions of 34′ x 8′, expanding in width incrementally to 25′ wide (It’s a giant horn! -Ed.). The speakers are in the corner of the room and positioned diagonally to the rear wall and parallel to a 12′ brick fireplace. Essentially, it’s like a performance stage. Now, my Gemme Audio Vivace speakers are producing substantial HiFi sounds and are much closer to their full potential. Tighter bass notes – in the low 40’s, and rumbles that shake, if not the furniture, certainly the upholstery! Not bad from two 4″ drivers. Upon loaning me his cables, and knowing of our departure, Sylvio asked that I write a review of my experience. Brand new and not yet broken in, the Carbon Interconnect is a rather exotic looking 1 metre black beauty containing two conductors. It’s a 6N (99.9999%), OCC (Ohno Continuous Cast) copper solid-core, wrapped with silk and placed inside a carbon-impregnated tube. I understand that the magic is in the increased ground surface area of conductive material. For the top shelf Stage 2 version (C$2019, as tested), Sylvio selected Furutech’s CF102 Rhodium Carbon connector – which is the same as the RCA connector of my reference, the Furutech FX Alpha Pure Silver Interconnect. The Carbon’s extreme lightness and slightly rigid nature make it easy to handle, and of course, I like carbon fiber black and Rhodium bling a lot! 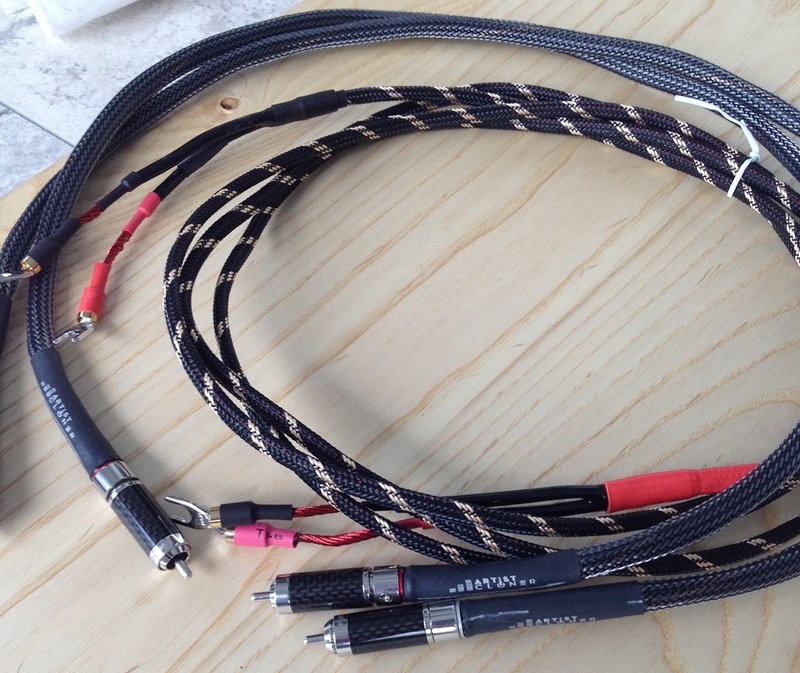 The speaker cables, named Solitz, were provided in a 3 metre length of large gauge 6N OCC cable, terminated with Cardas Rhodium spades. Physically, the Solitz cable is light, quite flexible and approximates the interconnect with its braid-style sheathing. My Furutech FS Alpha PCOCC speaker cables are terminated with F-211(R) Carbon/Rhodium spades, and are weighty enough that once in place, they don’t move. The Alpha’s are also very flexible, heavier and striking in green. I have used them exclusively for the last four years, so obviously they work! As for pricing, the Solitz at this length with these terminations costs C$1789. 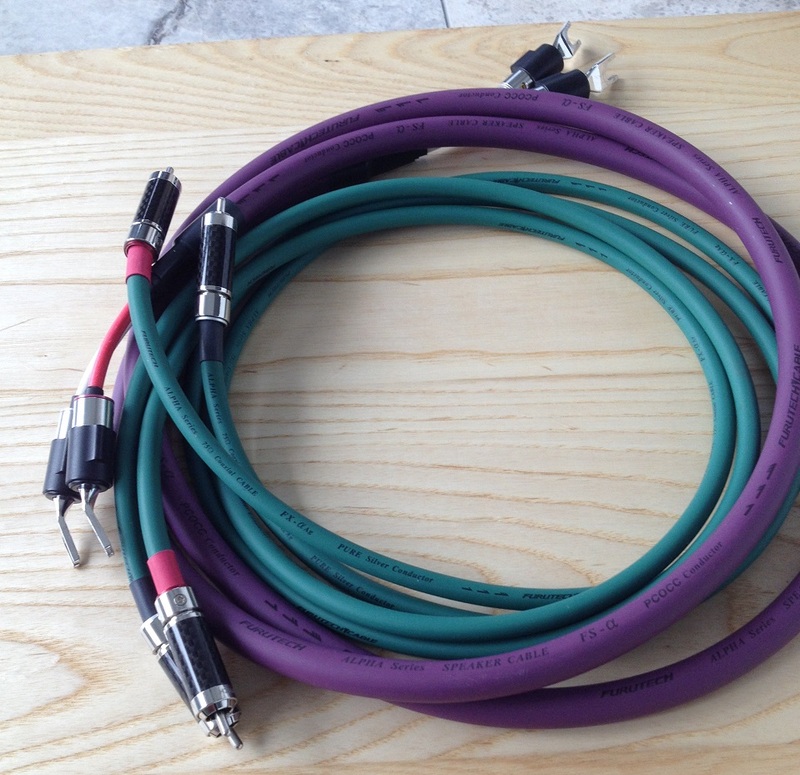 If I were to purchase the same length of the Furutech FS Alpha speaker cables (the pair that I own), and terminate them myself with the F-211 spades, the material cost would come to about C$1575. So, one could say that this comparative playing field is levelled with the overall price of the ArtistCloner loudspeaker cable, which includes expert termination. My system consists of a nicely stepped-up Finale Audio F-138 FFX EL84 tube amplifier, and the Gemme Audio Vivace loudspeaker, with its single 4″ Fostex FE108 Sigma driver. This system offers a natural and revealing presentation, similar to many other loudspeakers with full-range drivers. My go-to digital source is the very capable Aurum Acoustics pre-amplifier, with its full digital/analog capability, and my Apple MacBook Pro with about 500GB of decent music. I believe the Finale/Gemme combination is particularly capable when it comes to reproducing the critical midrange frequencies in a very musical way. Although I’m an avid analog person, my source for this review was my MacBook Pro solid-state drive (SSD) with an external USB 3.0 hard drive. I selected the acoustic, instrumental, vocal and orchestral material for auditioning purposes. I selected material from Bia’s Navegar recording, John Rutter’s Requiem choral/organ (Reference Recording), Tori Amos performing alone with just her piano in the best version of Leonard Cohen’s “Famous Blue Raincoat”, and bluesman Terry Evans’ deep voice and the killer pounding drums in “Come to the River”. These were compulsory tests, but for fun I cross-checked with well-worn copies (if one can wear out a digital file) of Patricia Barber, Adele, and a few other challenging tracks. My process was to play once through all of the tracks, first with my Furutech FS and FX, and then the same tracks again with the Carbon and Solitz at the exact same volume level. A day or two later, I repeated the process. And again through the course of writing this review. Bia Krieger’s slow vocals, and her male counterpart singing in a plain, slow fashion on “La Tua Voce” was surprisingly enjoyable. My first impression of the Furutech cables was of clarity, nice separation of instruments and a decent soundstage, although recessed in the room. Oddly, throughout this track I felt the need to turn the music up. My resolve to stick to pre-determined sound level slipped away quickly, firstly from Noon to 1 o’clock and then more. More specifically, even with greater power there was a slight veil concealing instrumentation, muffling the lower frequencies, although Bia’s voice shone bravely. By comparison, the Carbon/Solitz combo completely surprised me. It plays loud, so I was quickly on my feet turning the amplifier back to the Noon position! First real test of both my methodology and of the cabling. The thin veil under the Furutech spell disappeared completely with the ArtistCloner stuff, revealing the more dynamic nature of the song. The cadence and tonal matching between singers is a significant part of a slow suspenseful dance. Also, the guitar and drumming appeared more forceful and obvious. Essentially, with the Carbon/Solitz, the intentions of the performers became much more apparent. Although Furutech plays quietly with a low noise floor and pretty good timing, the noise level with the ArtistCloner cables dropped lower, allowing the interval between notes to be more pronounced. Next up was the “Famous Blue Raincoat” cover by Tori Amos, from the 1995 Tower of Song tribute CD. The song opens with an angst-filled sigh, a low husky voice, and gradually builds in stridency. This highly-charged, emotional content is evident in the lyrics, but at this juncture in the song the emotional intensity of Amos’ rendition is lost with the Furutech set, as the trembling seems muddled and the piano isn’t really present. Again, I moved the volume up, now a quarter-turn past half power. The soundstage and stereo effect was good, but not engaging. Lowering the sound level again for the ArtistCloner cables, the music regained lustre, and frankly, became the sensational performance it is. The singer’s sigh is deep-felt, the husky voice passionate and the voice quivers, first in pain and then with anger and resignation. The pounding on the piano, likewise, is pronounced and emotionally charged. Tori is not my favourite artist, but she does a great job with this song. So did the Carbon and Solitz. The Requiem Pie Jesu performed by the Minneapolis Symphony (produced by Reference Recordings), is a female soloist, choir and thundering organ. Despite being one of my favourites, and having listened to it many times with my Furutech cables, I again found that playback needed to be much louder in order to hint at what is going on in the track. The soloist sounded thin, and the choir not as fluid nor as harmonic. A lot of the tonal beauty became apparent with the articulate Carbon/Solitz cables: a beefier, drawn-out organ, softer but more distinct voices, and a soloist voice with substance. Terry Evans’ Come to the River, from a 1997 Audioquest Audio recording, is just one darn enjoyable gospel tune. The recording is very good quality. With the guitar and drums working powerfully together to drive the tune, the male singers make all manner of sounds to get us into that river! The ArtistCloner cables really impressed me, with the singers towering over my seating. Terry’s singing, err, shouting, at its highest notes combined with a high recording level weren’t comfortable for me, as I again jumped for the volume control. ArtistCloner’s cables managed it much better, but the material is so dynamic that I had to turn it down. Apparently Mr. Evans started life as a gospel singer, and it shows! Unfortunately, he died this past January at age 80. A final piece of interest for cello fans is Peter Wisplewey’s performance of Suite for Violoncello Solo by Bach. Great music, and with the Carbon/Solitz cables in place the details of Mr. Wisplewey’s breathing is pronounced, the finger smacking notable, and even the woody sound of his cello becomes evident near the end of the recording. I’ve owned this piece of music for 10 years and I had not heard these details before. As further evidence, and to confirm my views of the interconnects, I plugged in my beloved Audio Note AN-A copper Interconnect, and a very nice Clarity Audio interconnect. Both of these are excellent cables and work great with the Solitz or Alpha FS cables. The AN-A cable is very good but it can be a bit shrill and is very system-specific. It and the Clarity Audio cable have other strengths, but overall they don’t match the strengths identified above for the Carbon. To sum, it is not difficult for me to conclude which is the superior set of cabling. The Furutech does well in the higher mid-frequencies, and in maintaining a decent soundstage. Having tried them in another situation, I know they can control bass notes quite effectively. However, the Carbon Stage 2 and Solitz combination provide a full and deep soundstage, ​seem to perform equally well across the frequency range, have better timing and are highly musical in the depiction of low level details. 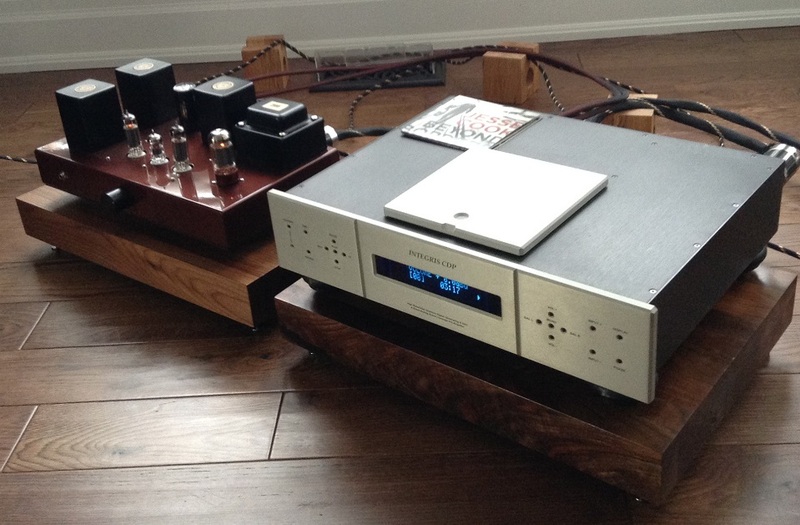 The quietness of the cables allows for long, non-fatiguing musical enjoyment. Having given this considerable thought, I recommend that cable shoppers consider the ArtistCloner cabling. Editor’s Note: Stay tuned for Montreal Audio Fest show reports over the next few days, from both Colin and Sean.